We sat down with our Upland Hunting Expert, Jason Brion, to talk through two of his favorite SCHEELS Outfitters Upland Hunting pieces and why he recommends this apparel to so many of our customers. Why is the Upland Strap Vest a big deal? 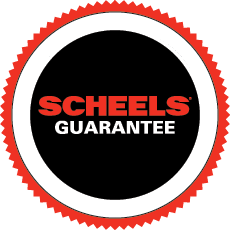 The SCHEELS Outfitters Upland Strap Vest is a big deal because it can be used all season long. It’s less bulky than the traditional vest, so it can be used during early season hunting. However, its slenderness allows it to be layered easily later in the season to stay warm. It also has plenty of room for storing birds! What’s your favorite feature of this vest? I can only choose one?! My favorite feature has to be the water bladder. I use it to make sure my dogs are always hydrated in the field so they don’t overheat on hot days during early season and so they can perform to the best of their abilities the entire season. How do you choose between a strap vest and a traditional vest? The strap vest is better for someone who is hunting in all conditions. If you find yourself in hot hunting conditions as well as cooler conditions, the strap vest will do it all because of its easy ability to pair with layers. When it comes to the Premium Upland Pant, what are your favorite features? There are so many great features to list about the SCHEELS Outfitters Premium Upland Pant, but my favorite’s got to be the zippers on the bottom. It’s so easy to get in and out of the pant- even with boots on! Once you’ve got a pant you can slide your boots through so easily like these, it’s hard to wear anything else. Is the upland pant only for upland hunting? Absolutely not! They are so comfortable, I will wear them for many outdoor activities like hiking and even doing yard work. The waterproofing will keep you nice and dry on those cold, wet and nasty days. The comfortability of this pant is unbeatable, the elastic waist makes it wearable all day long, and all year long.